The printers, mice, and modems had thick cables with those huge clunky connectors. Those devices were probably using UARTs to communicate with your computer. 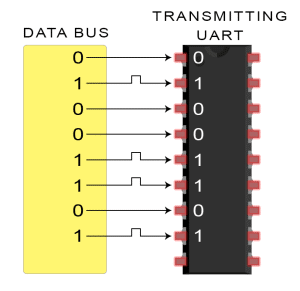 While USB has almost completely replaced those old cables and connectors, UARTs are definitely not a thing of the past. 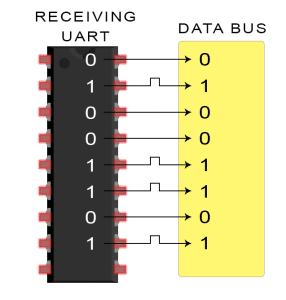 You’ll find UARTs being used in many DIY electronics projects to connect GPS modules, Bluetooth modules, and RFID card reader modules to your Raspberry Pi, Arduino, or other microcontrollers. must operate at about the same baud rate. 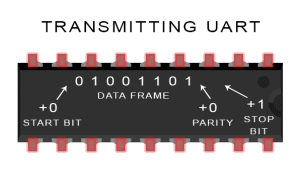 The baud rate between the transmitting and receiving UARTs can only differ by about 10% before the timing of bits gets too far off. 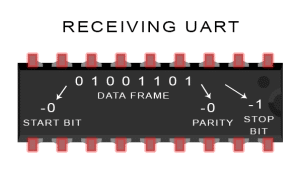 receiving UART detects the high to low voltage transition, it begins reading the bits in the data frame at the frequency of the baud rate. 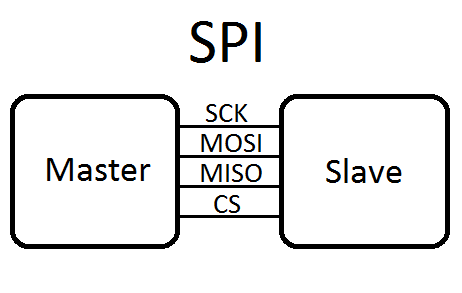 parity bit is a 0, and the total is odd; or the parity bit is a 1, and the total is even, the UART knows that bits in the data frame have changed. One of the best things about UART is that it only uses two wires to transmit data between devices. 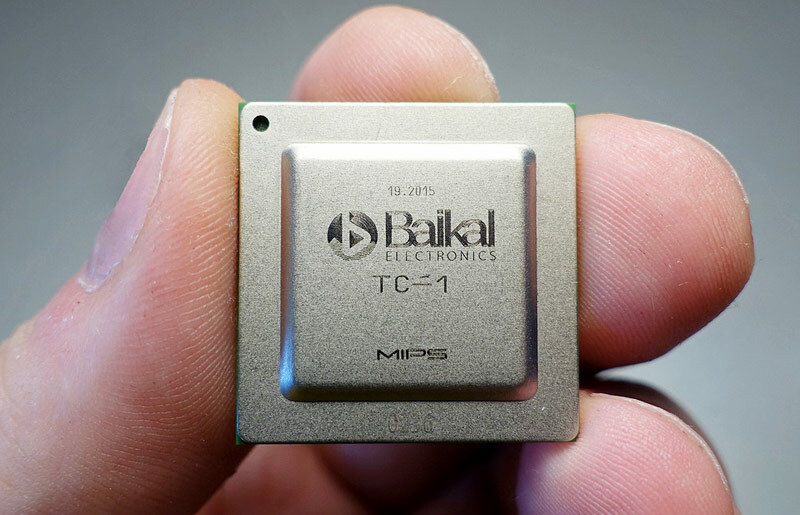 However, due to its simplicity, there are many weaknesses in transmission and not support for many devices.